US Night Vision offers the latest in high technology image intensified optical state of the art light intensification night vision devices including nightvision goggles, night vision scopes, and binoculars. 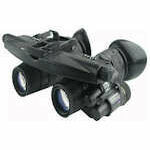 US Night Vision binoculars are a proven name. 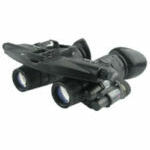 Possibly the s mallest and lightest dual tube system that is submersible and can be easily separated to create two separate night vision monoculars, or can be attached to a weapon to provide maximum flexibility. US Night Vision Gen 3 Binoculars have the same capabilities and accessories as Gen 2 but with better resolution of 64 Ip/mm resolution and signal to noise ratio of 21:1, and auto-gating.